Professional Document Storage or Do it Yourself? Make sure your company's data, history and records are safe and properly managed. Packing a storeroom with boxes or renting a storage unit may seem like an easy fix, but is it the best way to keep your important records, and business safe? After decades of experience in document storage solutions and management, we developed a helpful guide, weighing the pros and cons of DIY self-storage vs. professional storage of your business documents. Costs to consider and how to save money with both options. Make sure your company's data, history and records are secure. 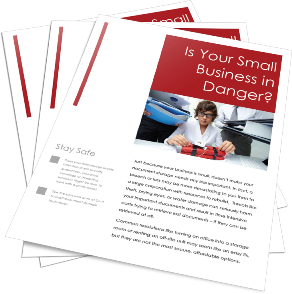 Simply submit the form to the right to get your free guide, and find out what precautions you must take to keep your small business safe.